Fast, paperless farm quality assurance and compliance. Approved by the British Cattle Movement Service and fully compliant with Farm Quality Assurance Schemes such as Red Tractor. Since day one, Herdwatch has been backed by FRS Farm Relief Services, an Irish farmer-owned co-operative established almost 40 years ago, providing skilled people in farm services, fencing, training and recruitment via a network of 20 offices. We are very proud to be part of FRS Network. "Herdwatch is so simple, and can be used by the whole team. 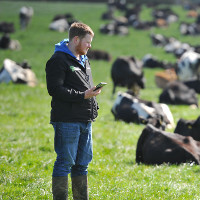 We use it to recognise cows, get details of cow history, record calving’s, update fertility records, register calves or medical records for Farm Assurance." 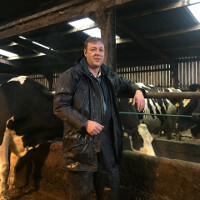 "Farm assurance dictates that paperwork cannot be compromised when you are busy, so we wanted an option that would allow us to update records quickly and easily. 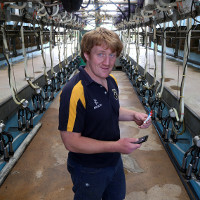 We have saved hours by using the Herdwatch app on our mobile phones." "I freely admit that I’m not the best at paperwork. I’d almost got to the point where I was employing a full-time secretary to keep on top of things. Herdwatch is definitely saving me at least three or four hours a week, and the records are totally accurate as they are entered in ‘real time’."